I feel like the start of September is the end of summer and I can't believe how quickly it's flown by. 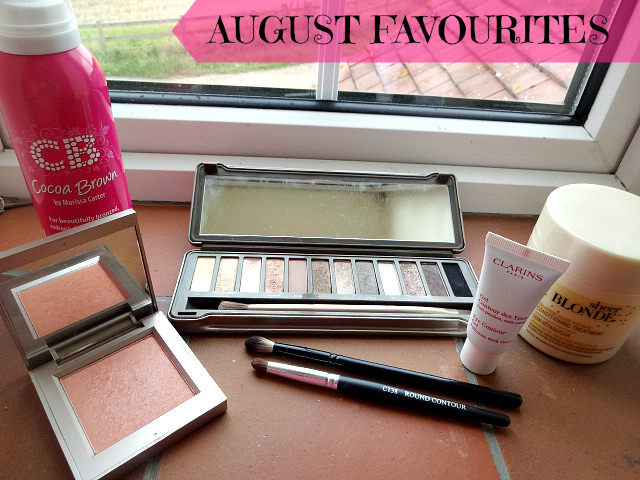 August was a super quick month but there's been a few products i've been really getting into and will no doubt continue to be favourites throughout September. However, with the colder weather beginning to arrive I will definitely be bringing in a few Autumn lipsticks and maybe a few plum eye shadows! Say hello to my favourite tan EVER. I've used this a few times in the past month and I have honestly loved it. This is the first tan I have ever used to gradually wear off and not become patchy. I will be doing a full review very soon once i've let it fully wear off so I can do a few before/after pictures! Whilst this is called a blush, I would definitely consider it a highlighter and that is what I use it for. 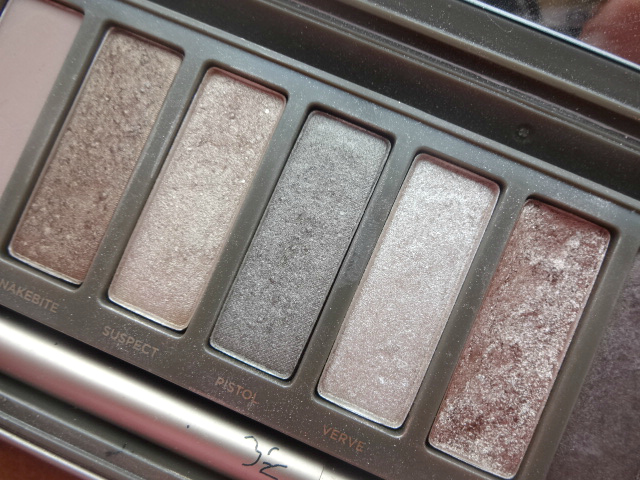 It gives the most amazing shimmery glow without being sparkly and tacky. 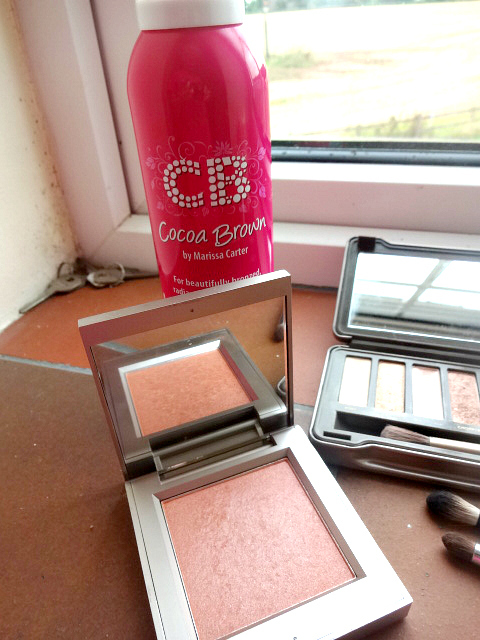 I wouldn't really say the peachy colour comes out at all, but as a highlighter this is perfect and has become incorporated in my daily make up. This was actually part of my birthday present from my work, they did a good job! I will review this if I can get some photos that capture it well enough! I purchased a few brushes from Crown Brush not so long ago and whilst i've not gotten round to fully testing them all out, I have been using these two daily since I first tried them. This contour brush is actually the first one i've got on with, a few i've used before i've found to be too big but this is perfect. 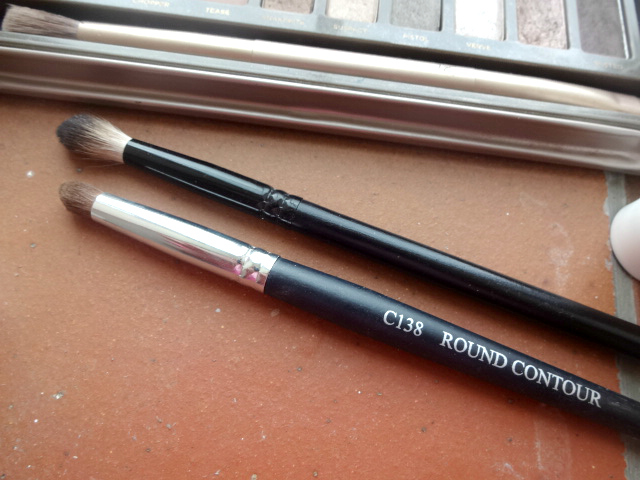 The blending brush is just an essential and this one is really light and works really well. I will review all of the brushes once I have used them more. After being super tired recently thanks to low iron levels, my eyes have not been looking too pretty and i've been waking up every day with puffy dark circles. 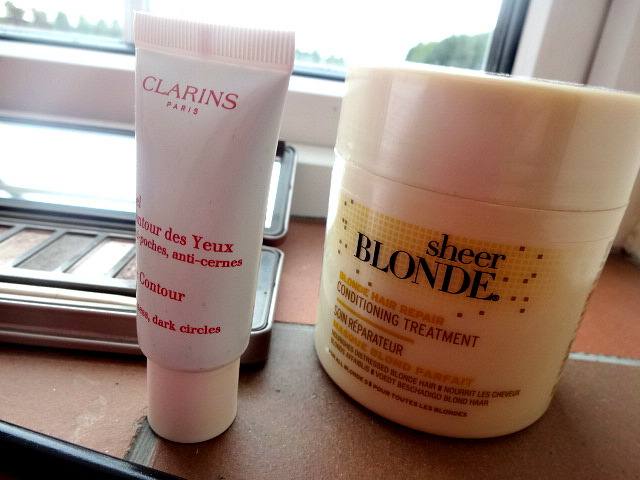 I popped to the Clarins counter and this is supposed to target exactly that and it really works. I notice a difference as soon as I put this on with my eyes looking a lot brighter and more awake. This paired with my trusty Collection Lasting Perfection concealer has been my life saver. I may also do a full review of this. So that is all of the products I have been using and loving this month, all of which I highly recommend. I'm also rather proud of myself for getting round to posting my monthly favourites on time and not half way through the next month!